Chef’s Log 79: Finnished (Welcome to Syö-mi) | The Spoon From Outer Space. Salutations homo sapiens (although I hesitate to use that term given the original meaning of the word ‘sapien’). Loyal readers, as well as casual readers who happened to glance at the blog on that particular day, will recall that I made a rather significant (some might say game-changing) announcement approximately 1 year ago, human time. I am now pleased to confirm that this event has indeed come to pass. I have spent the last few months exploring, observing and meticulously documenting the culinary habits and culture of what is now my new home—Finland. Known to many as the land of ice and snow and reindeer meat, this relatively tiny country is rich in both conventional as well as unconventional food experiences. I have been based in Helsinki, and while I have not had many chances to venture outside the city and study the rest of the country yet, I have made a few preliminary observations here. First and foremost, I have concluded that Finnish people are obsessed with candy. Candy appears to be available in every supermarket and theatre and can even be found in such unexpected places as electronics stores. While I am a fan of sweet indulgences myself, I find this kind of fixation to be rather baffling. Not as baffling, however as the Finnish compulsion for cold and/or iced water. All restaurants seem to have at some point agreed that iced water is the only acceptable form of water, even when one is attempting to escape that very thing when entering a restaurant in winter. Perhaps it has something to do with stabilizing body temperature: chill the insides while the outer layer (i.e. the skin) is chilled as well. This is something I must study further. 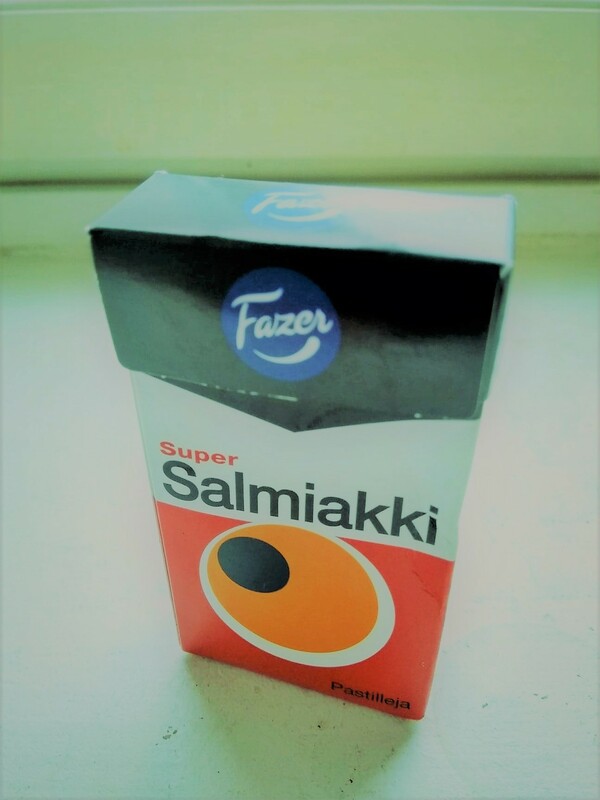 Salmiakki, a salted form of liquorice (Liquorice is another thing these particular humans seem to be obsessed with. I’m told they even learn how to make it in school) is an acquired taste. A strong tolerance, perhaps even mild enjoyment, develops after approximately 20 pieces of the candy (?) have been consumed over the course of a couple of months (this is usually preceded by a few rounds of spitting it out). I never, in my wildest dreams, could have imagined this was possible, but I think that I have eaten enough salmon. If there is one thing that is available abundantly in Finland, it is salmon. Finnish people appear to be very patient and are willing to wait in excruciatingly long lines for ice cream in Summer. Perhaps they enjoy ice cream as much as they do coffee. Much is said about the oppressive conditions in this country, and I can see how sub-zero temperatures and weeks without sunlight would appear intimidating to a human. I, however, am not human—something I am wont to emphasize as often as I possibly can. And for someone who has holidayed on the lava planet of Siz-El (nothing like natural basalt seasoning), as well as the ice moon of Ferrost (the snow-cones were delicious), I can say that it is simply a matter of mind over weather.